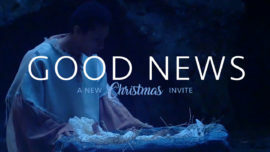 Encourage your congregation to get the word out and invite someone to your Christmas service using one of these videos. As the family prepares to head out for Christmas Eve service, their daughter Lily makes invitations for neighbors to come celebrate Jesus' birthday. 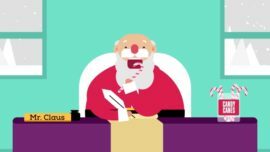 This sweet video is a perfect way to remind your congregation to invite people to church on Christmas Eve. 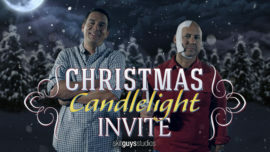 This invite video includes two versions, one for the Christmas Season and one for Christmas Eve. 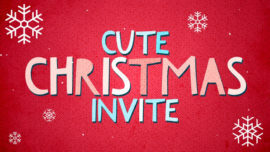 Great video to remind your congregation to invite their friends, family and neighbors to church this Christmas season! Christmas is one of the least challenging times to invite people to church. 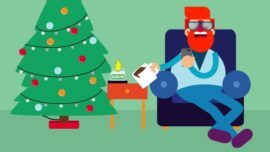 Use this sweet and heartwarming mini-movie to encourage your community to invite their friends and co-workers to church on Christmas. It’s Christmastime, and Jim and Joweena Sanders have recruited some help to round up the neighbors for Christmas Eve services at their church. 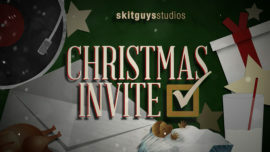 Laughs abound as the Skit Guys team up with the Skitzy Chicks in this hilarious Christmas video! The truth is, most of us really aren't that great at sharing our faith and many of us have never even invited an unchurched person to church. But this Christmas we can change those stats. 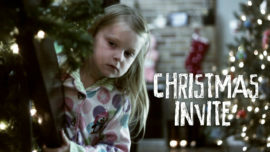 Use this mini-movie to encourage your congregation to invite people to church this Christmas. Watch as Tommy and Eddie give some pointers on how to light candles. Great to use in the weeks leading up to your Christmas Eve service. Includes two versions: a promo for Christmas Eve services, and one to use on Christmas Eve if you'd prefer. 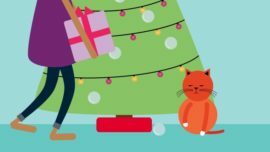 Christmas is coming, and there are so many activities to keep us busy. We can end up missing the most important things. After all, what is Christmas without Christ? And, how many people do each of us know that need Christ in their lives? Christmas is a time when people are open to receiving an invitation to church. Encourage your church to reach out and invite friends and family this Christmas. Looking for the perfect gift? 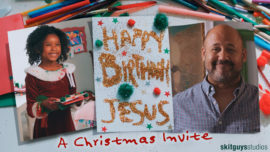 Give an invitation this Christmas. 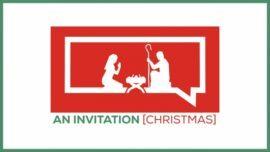 Use this Christmas invite to motivate personal evangelism and outreach during the Christmas season. 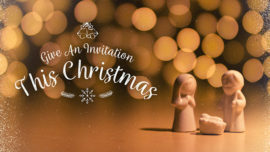 Use this cute and fun mini-movie to promote your upcoming Christmas or Christmas Eve services and to remind your congregation to invite a friend or two! We can all relate to that “I have to tell someone!” feeling we get when we receive exciting news. Good News is not only an encouragement to invite others to experience the Christmas season with your community, but it also works year-round as a reminder of the Great Commission. Stepping on a glass ornament is painful, inviting someone to church feels marvelous. A short, funny, animated, invite movie for the Christmas season. Not watering your Christmas tree is a bad idea, inviting someone to church is a wonderful idea. A short, funny, animated, invite movie for the Christmas season. Candy canes are hard, inviting someone to church is easy. A short, funny, animated, invite movie for the Christmas season.